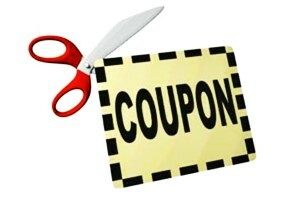 We do not offer discount codes or coupons through online coupon websites. If you find a coupon online, it's bogus and will not work when entered. We don't advertise with these coupon sites, as they often post coupons that aren't verified. We offer free shipping to all order over $50, along with emails for specials, coupons, and other promotions. We also offer FREE engraving on all of our orders. We don't count characters and will do our best to accommodate any text and/or logos on your awards. We offer quantity discounts on most of our trophies and awards, no coupon needed! We receive bulk pricing from our manufacturers and are able to pass that savings along to our customers when ordering higher quantities of awards. Just enter the quantity when placing your online order, and the discount will be automatically applied. We strive to offer the best value, high quality products and excellent customer service to our customers. Feel free to contact us if we can help you with your awards purchase!